It’s been more than five years since we’ve taken Riley on a long road trip. That time, he rode shotgun as we moved from Tampa, Fla, to the San Francisco Bay area. He did great. Soon, at the beginning of October, we’re loading up the Starship Enterprise and all taking off for a month in Santa Fe, NM. We expect the trip to take about two days and may stretch it out to three. Fortunately, Riley loves the car and adores a road trip. It’s just August, but we’re already talking about how we can make the road trip and our month away more comfortable for our little cutie pie. 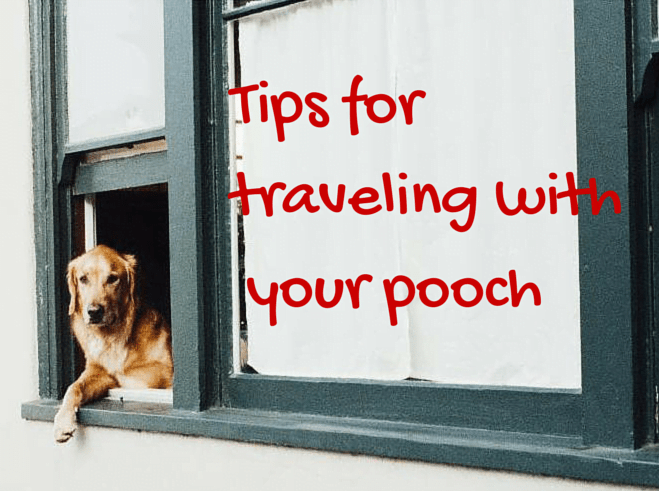 So how about it if I share some dog travel tips? Travel crate or travel seat. If you were savvy enough to start your dog in a travel seat or crate from puppyhood, it should be fairly easy to restrain your pet safely. Dogs should not roam free in the car, even though we see it all the time. It’s not safe for the dog should you stop quickly, nor is it safe for you. Riley is a little dog and he travels in an airline travel crate that is seat-belted into the back seat. He NEVER rides in the front seat because the deployment of an airbag could kill him instantly. It’s why I hate to see drivers holding their tiny pets as they drive. You can never anticipate when someone might hit you and the bag might go off. A friend’s friend lost her dog this way. Keep your small dog safe in a crate affixed to the backseat. I don’t like to see dogs hanging out car windows, either. The wind can blow sediment into their eyes, which could cause an infection. Or your dog can get spooked and jump out. It’s just not smart to let your dog do this. If he’s used to doing it, retrain him before you leave for your trip. In fact, get your dog acclimated to road trips well in advance of your trip. If he gets car sick, consult your vet for a preventive and/or remedy. Potty breaks on the road. Under-feed your dog in the morning so he doesn’t get an upset stomach. And potty often! Don’t let your dog wait too long! You know what it’s like to have to go, so make sure that you potty him after breakfast and again less than an hour later. Then, every couple hours. Since Riley will potty outside or on a potty pad, but sometimes not on gravel, we bring small potty pads with us. If all that’s available is gravel, we put one down and voila! He knows to go. Speaking of potty pads, if you have a small dog, they are a godsend in a rental house. Riley never has accidents and now he rarely uses a potty pad, far preferring to do his business al fresco. But in Santa Fe, we’ll only have an outdoor patio, no grass, and coyotes abound. We’ll be using potty pads more often there. Leash and harness with tags. When you stop for your dog’s potty, be sure to leash and collar/harness him or her up before exiting the car. It’s easy for a dog to get spooked in a new place. Be sure the leash and harness have identification tags. You don’t want your beloved pet to get lost. If you’re leaving your dog in the hotel while you go out to dinner, crate him in a larger crate. Maids, mini-bar restockers–any worker, really–could come in and your dog could escape if she isn’t created. Don’t fill it with pillows–the crate should be large enough for the dog to stand, turn around and lie down. You may think a cushy bottom is enough, but imagine hours stuck in one position unable to stand up and turn around. Bring medical and vaccine records. This is just common sense. You can’t count on a vet being open if an emergency hits at an off time–be sure you have a copy of all medical and vaccination records. Don’t forget to pack any dog meds she might need, from supplements to heartworm preventative to anything that might be needed for a chronic illness. Riley has had some eye infections, so we will bring the leftover ointment just in case a vet prescribes it. We’re bringing his regular food. Period. Also, Riley has a small, collapsible travel water bowl for the car. but we’ll also bring his familiar food and water bowls for when we get to Santa Fe. We’ll bring one for upstairs and one for downstairs. Another common sense item–bring a few of your dog’s favorite toys when you travel. Since we’ll be in Santa Fe for an entire month, we’ll probably bring 10 or so of his favorites. He probably has more than 100 toys and we rotate them. At home, Riley has a bed in every room (just about). For Santa Fe, we’ll bring his familiar sleeping bed for our room and a bed or two for the downstairs living area. We’ll want his beds to smell like home, so we won’t be washing them beforehand. Be aware of dangers in your vacation city. We’ve talked with our dog loving friends about coyotes in Santa Fe, but even here in California we have mountain lions and coyotes or even birds that prey on small animals. Never leave a small dog alone outside if you live in an area with predators. Keep the car well-ventilated, too. Never leave a pet in a hot car–NEVER. What have I not mentioned that you think is important? Add anything that you do or think we should do below. Thanks! Great tips! We’re actively looking for a pup and I’m so excited. And, now that my daughter’s off to college, I’m sure I’ll be referring to some of these gems to get us through our future road trips. Thanks! Thanks for the post! As someone interested in getting a dog, the uncertainty of how to travel with them is what has held me back. Glad to know it’s doable! Rena McDaniel recently posted…I’VE BEEN ROBBED! All the things I’d do on my dog’s road trip. Most people would forget the crate training, so this is a wonderful reminder. It’s not his preferred way to ride, but it’s the safest! Our Maltipoo, Zoey, travels everywhere with us, by car or by plane! Thanks for your wonderful tips! Riley is also a maltipoo! love this. Really upsetting when you see the needs of a pet not being managed well while traveling. Great work! Excellent tips. It’s great that you mentioned the fact that airbags can kill. We have two little dogs and it’s hard to get them to stay in a crate but now it all makes sense. The potty pad idea is great too. I have a male rat terrier that still has accidents in the house because we got him when he was 4 years old and he was untrained. I put a male wrap on him when he goes visiting. They come in handy. Yes, people don’t think about the airbags…. love this. i always joke that my dog is more of a world traveler than most. usually i’m so rushed when leaving, but this is a great checklist! pinning this! thanks for sharing! Rescue dogs have their challenges…a good trainer can advise you about desensitizing if you want to. My eight year old Golden, Gracie, is a rescue from a breeder farm and was crated her entire life just to crank out puppies. To say she is not a fan of the car, or any enclosed space for that matter, would be an understatement. It takes two of us to get her 81 lb self into the back seat for a mile ride to the groomer twice a year. Still, I’m hopeful that one day she’ll just hop right in and we can take off. She spent the first year with me lounging in her memory foam dog bed, probably loving it, and I just let her be. Lately, she has discovered she likes being outside and she no longer paces the perimeter of the fence…so there’s hope. These are great tips. We rarely traveled with our Newfoundland because it was too hard to fit a 130 pound dog almost anywhere! That’s the size of a person! Great tips! Funny how I never think of special needs for my doggies travelling along with me – until we’re on the road. My daughter has been educating me. She travels Doggie Delux! I am a terrible dog owner….I can rarely take my dogs for a ride in the car because it is so miserably hot. They love to go for a ride and can hardly contain themselves if I have an errand that doesn’t require me to get out of the car. I didn’t think about the air bag…that is so true. Riley is going to love Sante Fe…but warn him about the food (I know you said you were bringing his regular food) he might try and order out when you aren’t looking and get ahold of some really spicy stuff. When in Rome, right? Donna Tagliaferri recently posted…Vacations Should Be Celebrated!! I think you covered it all Carol. What a great post. So many folks forget many of these basics when traveling. We are looking for a pup now too and we are so excited! We or, I should say, my husband just got a puppy. I came home from vacation and found him with a little Lab. But I guess it’s better than finding him in bed with another woman! These are great tips for a great trip. I hope you–and Riley have a fabulous time! Great information Carol! When we got our dog as a puppy from the animal shelter, we had to sign a contract that she would never ride loose in an open back of a truck. It is amazing how many dogs here do. Great tips. I’m guilty of being one of those people with the small dog riding on my lap. I need to invest in one of those seats so that she can look out but is restrained in the back seat. Thanks for the reminder! Rosemond recently posted…Note to self. Never hire a hot nanny. I’ll be pinning this list for later. My boyfriend wants to take a roadtrip from Phoenix to Dallas with our 4 (!!) dogs this coming Christmas. I’ll need all the help I can get to keep my sanity! I don’t have a dog but know of friends who do and who will find this an excellent resource Carol. I couldn’t get past potty pads! what will they think of next?! I never thought about how a pet might be in danger in the car. It makes sense, now that I think about it. They could also potentially hurt you if they aren’t secured with a crate and seat belt because they could be thrown into you. I will definitely start keeping our dog in her crate during car time so that she can get used to it. Thanks! Great tips. One more to add – it probably goes without saying but people still do it. Don’t leave your dog in the car! Especially on a hot day. These are excellent tips for traveling with your dog. Thank you so much for sharing.